Today the Florida Fish and Wildlife Conservation Commission published its 2013 Boating Accident Statistical Report. The 2013 Boating Accident Statistical Report indicates there were sixty-two fatalities caused by a boating related accident in Florida in 2013. Drowning is reported as the leading cause of death. The Florida Fish and Wildlife Conservation Commission also reports there have been eleven fatalities caused by a boating related accident in Florida so far this year. The 2013 Boating Accident Statistical Report stresses the importance of boating safety, including more careful boat operation and the use of life jackets. The Florida Fish and Wildlife Conservation Commission regulates Florida’s fish and wildlife resources to protect their well-being and ensure enjoyment by Florida’s residents and visitors. The Florida Fish and Wildlife Conservation Commission‘s core missions includes resource protection, waterway regulation, and public safety. In carrying out these objectives, the Florida Fish and Wildlife Conservation Commission balances the needs of over one thousand fish and wildlife species and their habitats with the needs of Florida’s residents and visitors. 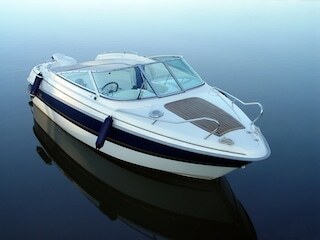 A boating accident can result in serious personal injury or wrongful death. As we begin Memorial Day weekend and celebrate the start of summer, we should enjoy Florida’s beautiful waterways carefully and safely.